Nikwax is excited to have just launched its most advanced Nikwax Hydrophobic Down at the OutDoor Trade Show in Germany, which welcomes over 900 exhibitors from the global outdoor market. 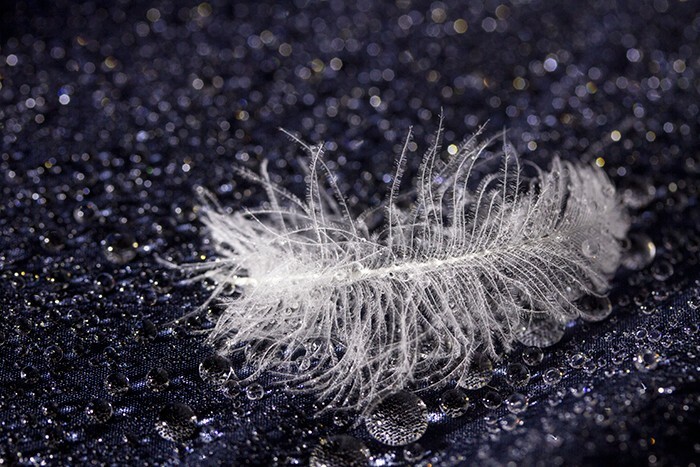 Nikwax Hydrophobic Down is being built into sleeping bags and garments worldwide, and once again we have proven that high waterproofing performance can be achieved without the use of environmentally dangerous chemicals such as PFCs. Down provides amazing lightweight insulation, but until now has had one major failing – if it gets wet it will rapidly lose its fill power and loft, resulting in you becoming cold and the item taking a long time to dry out. Nikwax Hydrophobic Down resists damp and wet conditions, meaning your gear’s loft and fill power is maintained, even when the external fabric is saturated, and you stay warm and cosy when you need it most. The official industry method used to assess the water resistance of hydrophobic down is the `shake test`. In this test, the down is placed in a glass jar of water on a shaker table and shaken 50 times a minute to see how long it takes to get wet. We are proud to announce that the latest production of Nikwax Hydrophobic Down resists shaking and remains dry for at least 1,000 minutes, or 16 hours 40 minutes (certified result from IDFL, IDFB shake test). In the world of Hydrophobic Down manufacture no one measures higher than 1,000 minutes, so this is an outstanding result! 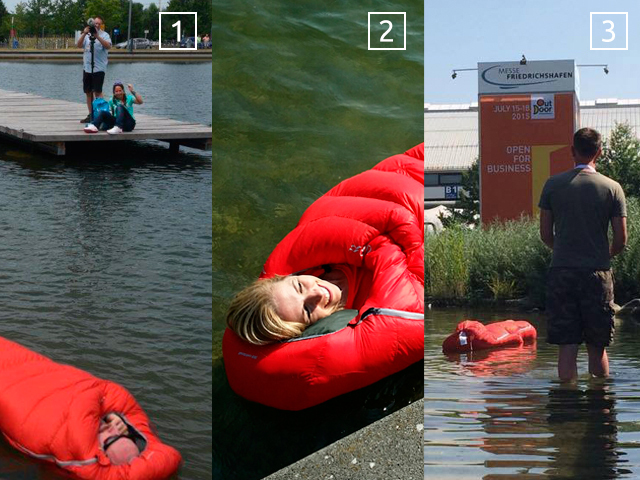 Back in November 2014, we floated a Nikwax employee in a Nikwax Hydrophobic Down sleeping bag on a lake in the UK to demonstrate the exceptional performance of our down treatment. To further highlight this, we repeated the event another three times at the OutDoor fair in Germany! Check out the photos below.